The Winter Park Wedding Chapel was started in 2008 by Suzanne and Steven Graffham. The original home of the Winter Park Wedding Chapel was located within Winter Park’s Grant Chapel. The chapel was built in 1936 and was originally a small Methodist Church. In 2010 the Winter Park Wedding Chapel was bestowed the “Keep Winter Park Beautiful” award, named the best restored business in this historical city. Since then hundreds of weddings have taken place here. At the end of 2013, the owner of the building wanted to use the land for commercial purposes and came to an agreement with the City of Winter Park to move the chapel to a new home instead of tearing it down. The Chapel was picked up and moved on 8th December 2013. It took eight hours to move two blocks. It now sits in its new home on top of a basement and has gained an extended courtyard and beautifully landscaped garden. The Chapel was reopened at the end of April 2014. In early 2017, the Winter Park Wedding Chapel moved from the Grant Chapel location to its new fabulous home. The new chapel is located within the beautiful and historic First Congregational Church of Winter Park. The chapel is located in downtown Winter park, only a block from Park Avenue. The chapel is an ideal wedding location complete with wooden floors and stained glass windows. The Winter Park Wedding Chapel continues to thrive as a spiritual place where couples spend one of the best days of their lives no matter their race, creed, or sexual orientation. The chapel is available 7 days a week and has seating for up to 60 guests. 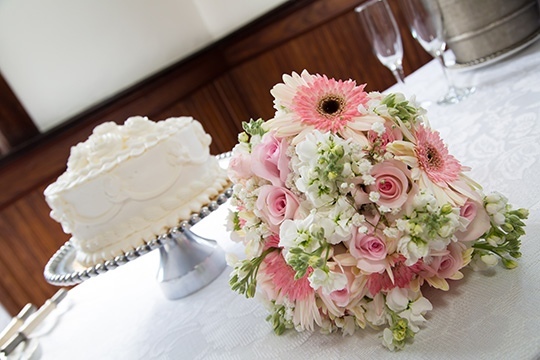 For larger weddings that maintain the Chapel's signature, intimate feel, take a look at the other venues offered by the Winter Park Wedding Company at winterparkweddingcompany.com or call 407.539.1538.